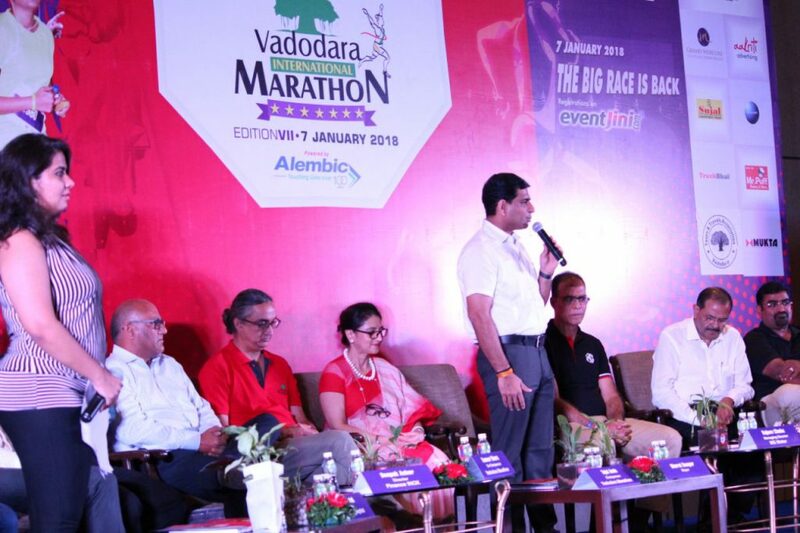 The seventh edition of Vadodara Marathon, the second largest marathon of India, is scheduled on January 07, 2018 continuing its legacy of ’Sports-Seva~Swacchta’. 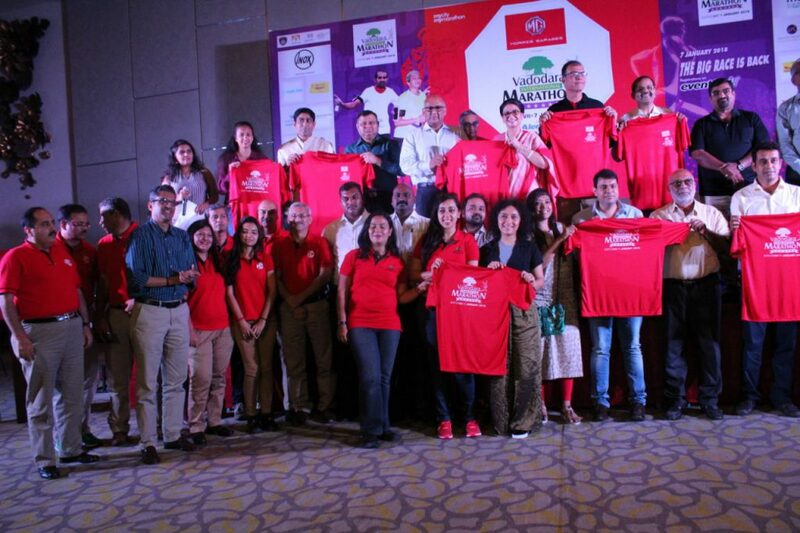 MG Motor India is title sponsor of the marathon to raise health awareness in the region. The seventh edition is full of attractions, pre-events and social messages to be spread through out the marathon. A medal designing competition is also going to happen where the creative brains can design medals for Marathon 2018 and the selected design will be felicitated and awarded by Team Marathon. The marathon will have various categories like full marathon of 42 kms, half marathon of 21.9 kms, 10km Run, Fun Run of 5kms, Divyang Run, Jawan Run and Pledge Run. From this year, the marathon will be flagged off from Pologround. The finalised Route will be declared after AIMS approval. This year, the VM has introduced a new category called THE HOME COMING RUN, for the Indians staying overseas. About 200 plus NRGs have already given confirmations about the participation in THE HOME COMING RUN, which will be a 5km Fun Run. 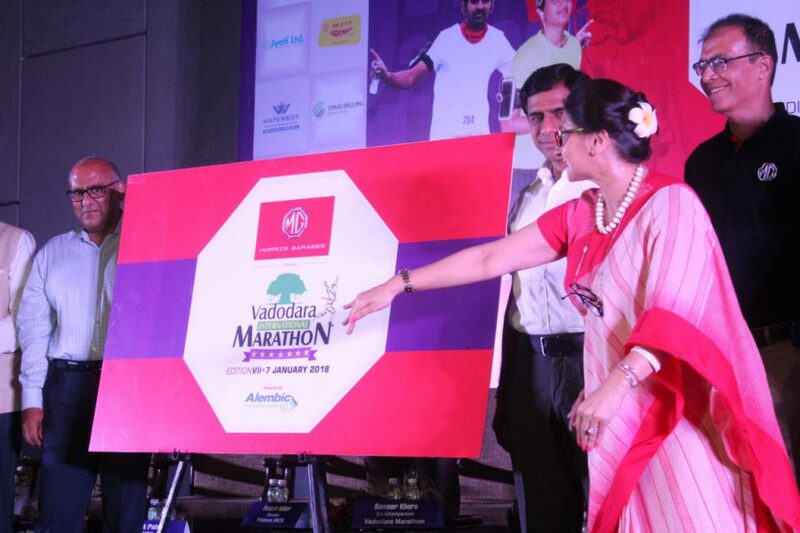 The title sponsor for the seventh edition of Vadodara Marathon is MG Motor India, which recently. entered India through its First Car manufacturing facility in Halol in Gujarat. 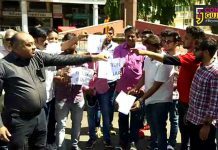 Along with the other causes , Vadodara Marathon also aims to bring awareness about right of voting, in the forth coming elections. 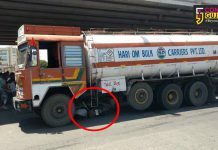 Keeping this in mind the organisers has planned VOTATHON, an awareness walkathon at Vadodara which will be a pre-event to Marathon. “The seventh season of Marathon is very special as we are introducing the home coming run for the Indians staying abroad. We want them to reconnect with their roots here. Having them run on our soil here will be a great way to revisit their country and culture. As per our tradltlon, Vadodara Marathon will promote various causes through this marathon,” said Tejal Amin Chairperson of Vadodara Marathon. 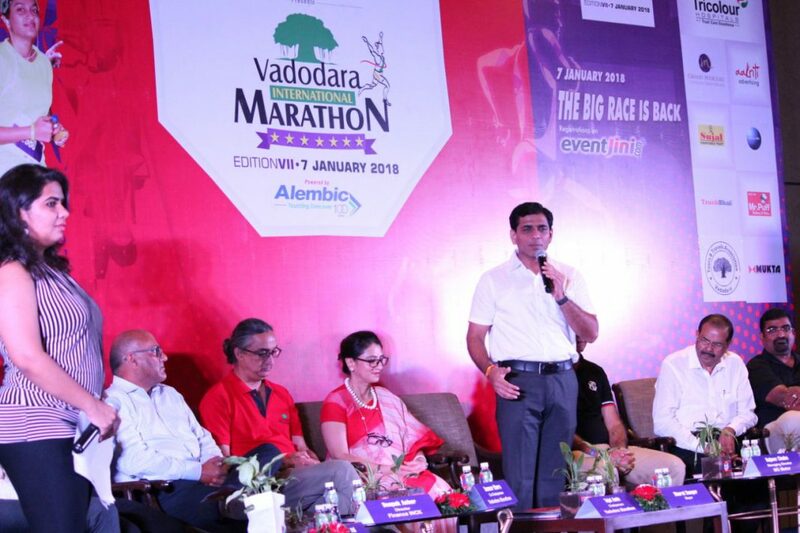 Dr. Bhagwatiben Oza will be the brand ambassador of Vadodara Marathon’s seventh edition. This is probably the only marathon to have an 82 year active sports woman as its brand ambassador. 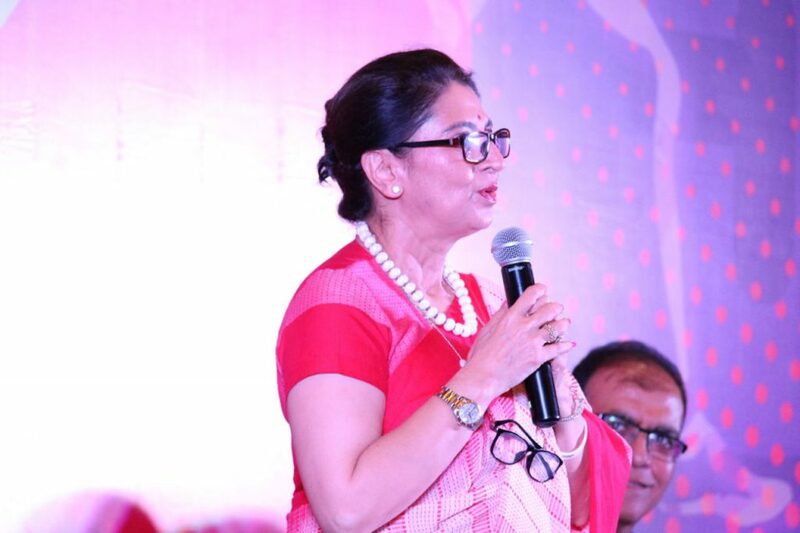 “MG Motoro marks the company’s first initiative to work towards the overall benefit of the citizens here at large. ‘Run with Red’ exemplifies the can-do spirit of the people in their quest towards an overall sustainable and healthy environment,” added Chaba. 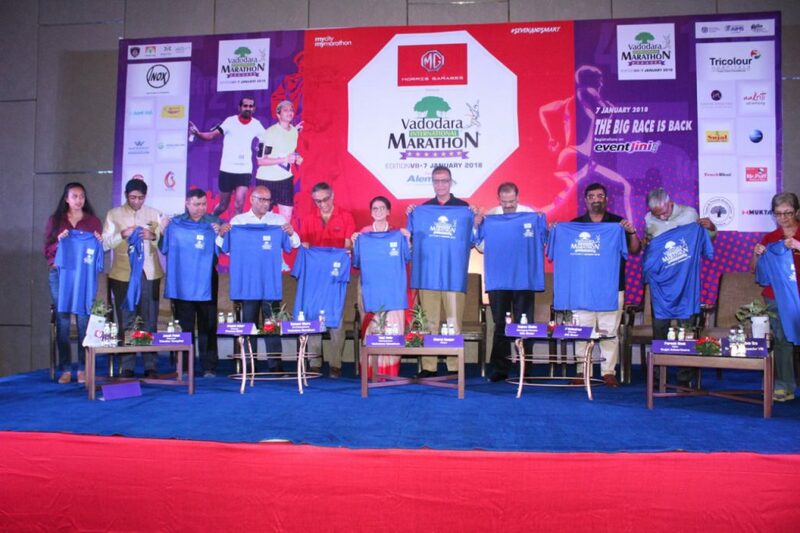 The sixth season of Vadodara Marathon had already received an overwhelming response with more than 78,000 registrations. The online registrations for the seventh season have already begun with marathon runners started registering for the marathon 2018.